The primary goal of the surrealist movement was to liberate the modern mind by demonstrating how deep psychological impulses could be explored, depicted, and fused with everyday reality. "Poupée atop Broken Wicker Chair," ca. 1935, by Hans Bellmer, German, 1902-1975. Museum Purchase, Lloyd O. and Marjorie Strong Coulter Fund. © 2014 Artists Rights Society (ARS), New York/ , Paris. "Untitled," 1921, by Man Ray, American, 1890-1976. Museum Purchase, Lloyd O. and Marjorie Strong Coulter Fund. © 2014 Man Ray Trust/Artists Rights Society (ARS), NY/ADAGP, Paris. "Cour, 28 Rue Bonaparte, Paris," 1910, gelatin silver print. 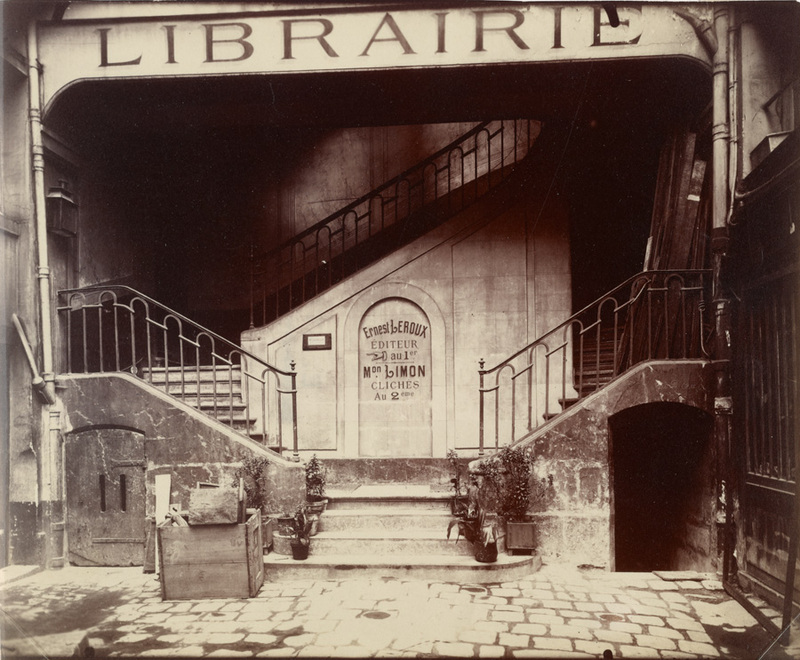 Eugène Atget, French, 1857-1927. Museum Purchase. 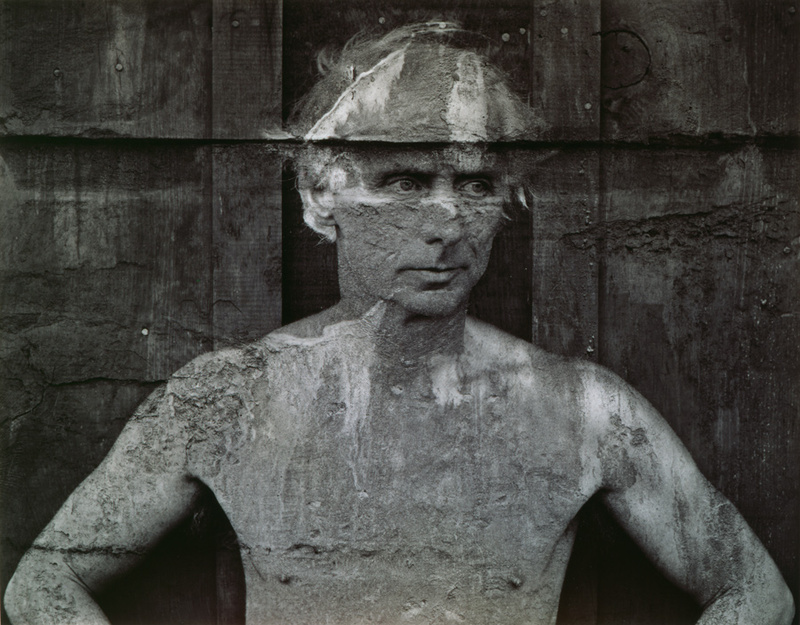 “Max Ernst, 1946,” gelatin silver print. by Frederick Sommer. Museum Purchase, Gridley W. Tarbell II Fund. © Frederick & Frances Sommer Foundation. The primary goal of the surrealist movement was to liberate the modern mind by demonstrating how deep psychological impulses could be explored, depicted, and fused with everyday reality. 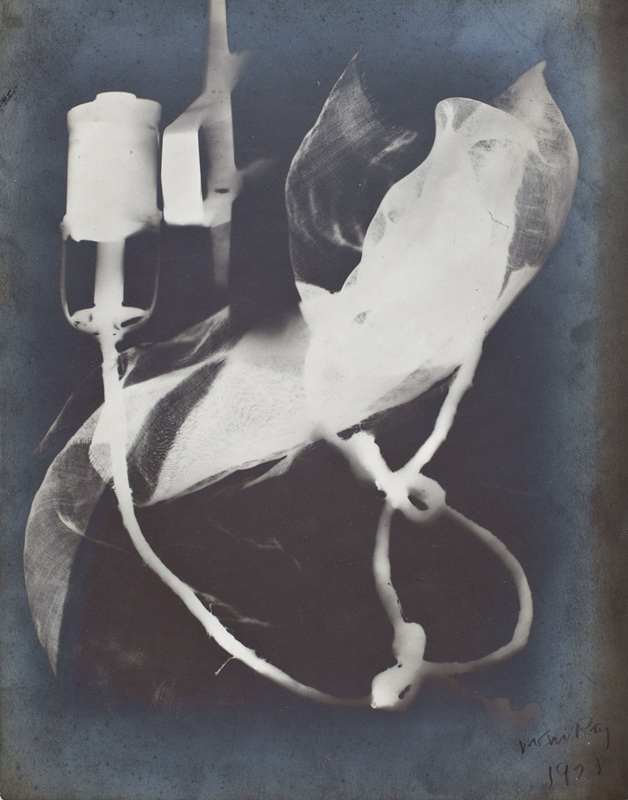 Despite the perception that photography presented the most direct depiction of surface reality, or perhaps because of it, the medium presented an ideal arena for surrealist artists to explode the traditional bounds of visual representation in ways that continue to influence artists today. Surrealists experimented with unprecedented technical manipulations, both before the camera and in the darkroom, turning the so-called realist medium of photography into a vehicle for depicting the fantastical. Even their most “straightforward” images make the familiar strange and reveal the psychological depths that underlie surface reality. It is this constant tension between surface and depth that gives surrealist photography its distinctive impact, which this exhibition will demonstrate with highlights from the Bowdoin College Museum of Art’s rich collection of surrealist photography, supplemented with prestigious loans from public and private collections. Supported by The Robert Mapplethorpe Foundation. A special preview of Under the Surface: Surrealist Photography, including tours and presentations by Andrea Rosen, curatorial assistant at the Museum of Art along with students from "Modernism/Modernity" a course taught in the fall of 2013 by Harrison King McCann Professor of English Marilyn Reizbaum. 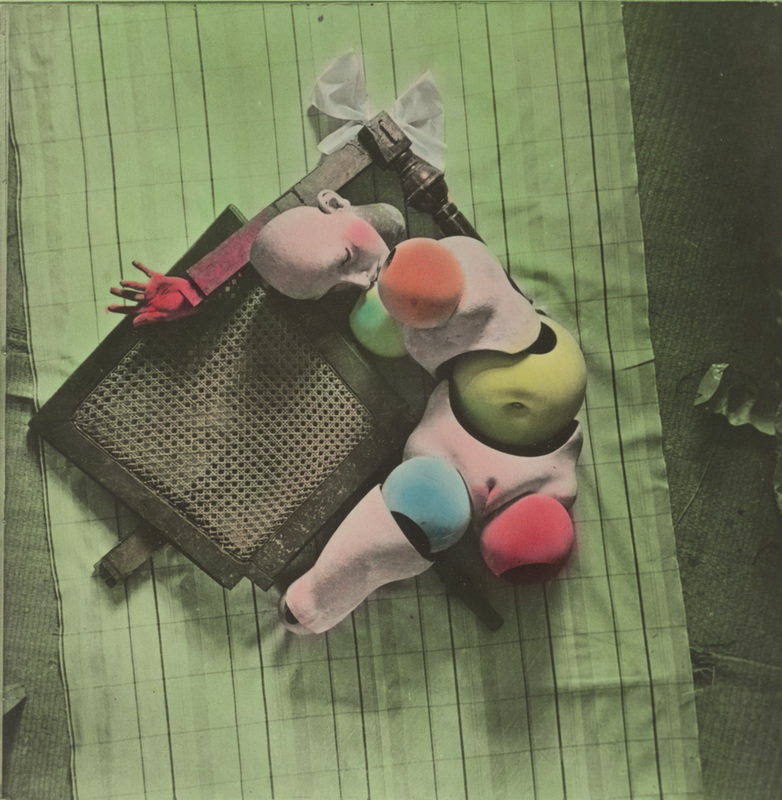 "Strange Passion: Frederick Sommer's Wartime Surrealism"
Robin Kelsey, Burden Professor of Photography and Chair of the Department of History of Art and Architecture, Harvard University. Kelsey has written extensively on photography, landscape, and American art and will speak about the American surrealist photographer Frederick Sommer. A festive reception to anticipate spring and celebrate the current exhibitions, including Under the Surface: Surrealist Photography. "'Science is Fiction': A Selection of Films by Jean Painleve"
Speakers include: Sarah Childress, Visiting Assistant Professor of Film Studies; Janet Gannon, laboratory instructor of biology at Bowdoin College; Marko Melendy, Animal Care Supervisor, Coastal Studies Center at Bowdoin College; Andrea Rosen, Curatorial Assistant, Bowdoin College Museum of Art; and students in the Spring 2014 course "The Reality Effect: Documentary Film." Thursday Night Salon at the Museum of Art: "Man Ray and Marcel Duchamp and the Surrealist Movement"
Anne Collins Goodyear, co-director of the Bowdoin College Museum of Art will speak about the role of Man Ray and Marcel Duchamp in the Surrealist Movement, focusing on works in Under the Surface: Surrealist Photography. Jessica May, Curator of Modern and Contemporary Art at the Portland Museum of Art and curator of the 2013 Portland Museum of Art Biennial, will join Andrea Rosen, curatorial assistant and curator of Under the Surface: Surrealist Photography, for an informal gallery talk.